I have LiDAR data of a building and would like to construct a 3D Model using FME 2016. 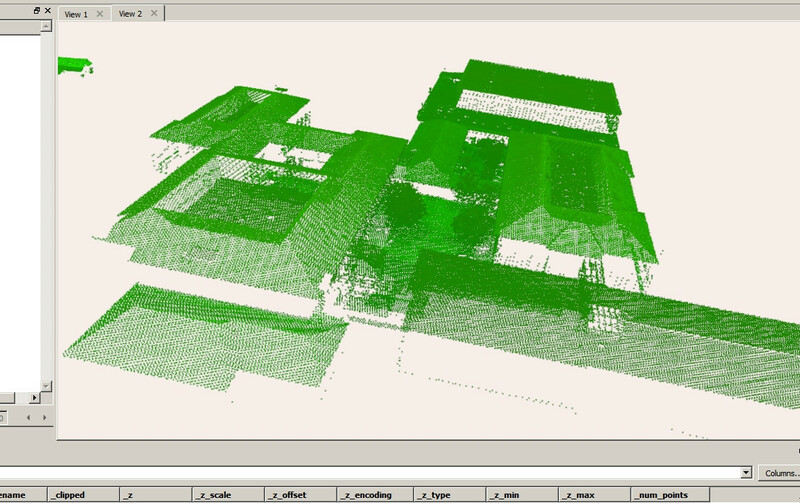 The LiDAR data shows that the structure has sloped roofs with various other elements on the roof surface (e.g. ventilation shafts). Is there any way I can create a 3D surface polygon model from this data which would capture the sloped surfaces? Below is a visualization of the LiDAR data. There is no direct way on doing it in FME. We are developing similar thing right now to be able to do that automatically. For now we have one other solution that is allowing you to draw couple of lines on point cloud and then construct automatically building roofs and volumes in FME. You can see more in my presentation that I have shown on FME world tour. Not the answer you're looking for? Browse other questions tagged polygon fme lidar 3d-model rooftop-building or ask your own question. Joining lines by X,Y and Z coordinates for TerraExplorer using FME?